Metso will supply automation technology to Tampere, Finland, to the Tarastenjärvi waste-to-energy plant and to the Hervanta woodchip-fired heating plant as well as an energy management system to Tampereen Sähkölaitos. "With modern and reliable automation, the plants will be able to manage and run their processes with precision. Our excellent cooperation with Tampereen Sähkölaitos Group has continued over a long period of time and has covered several automation systems and rebuilds as well as related services for various power plants. The new systems will work seamlessly with the systems delivered earlier. We are very glad that these companies have shown their trust in Metso by choosing us for all these new projects," says Olli Koivumäki, Sales Director, Automation, Metso. All three orders are included in the second-quarter 2014 orders received by Metso's Automation segment. The value of the orders will not be disclosed. Tammervoima Oy's Tarastenjärvi waste-to-energy plant currently under construction will produce electricity and district heat for Tampereen Sähkölaitos, and it will be fueled by the local residents' source-separated mixed waste. The new plant will annually process approximately 150,000 tons of waste, turning it into 300 gigawatt hours (GWh) of district heat and 90 GWh of electricity. The commercial operation of the plant will start in January 2016. "Metso's offer was economically the best alternative in the public tendering process," points out Antti-Jussi Halminen, Managing Director, Tampereen Energiantuotanto Oy. Metso's automation is already widely used in all of the Tampereen Sähkölaitos Group's plants. One of the latest installations was for Finland's largest pellet-fired heating plant in the Sarankulma area of Tampere that started up in late 2012. Metso's delivery to the Tarastenjärvi waste-to-energy plant includes a Metso DNA automation and information management system, a safety automation system, a plant performance monitoring application, a calculation and reporting application for emissions monitoring, factory acceptance testing, installation, training and commissioning. Metso's deliveries will take place in 2015 and handover is scheduled for January 2016. Metso has been chosen as the automation supplier also for Tampereen Energiantuotanto Oy's new Hervanta woodchip-fired heating plant. The new plant to be built in the Tampere suburb of Hervanta will be fueled with woodchips and peat. It will decrease the need to run fossil-fuel-fired heating plants and reduce the carbon dioxide emissions generated by energy production in Tampere by approximately 10%. The 49.5 megawatt woodchip-fired heating plant will be connected to the city's district heating grid as a base load plant, and it will produce district heat mainly for the Hervanta area. Heat production will start in May 2015. The automation order was placed by Valmet, which is responsible for the turnkey delivery of the heating plant. 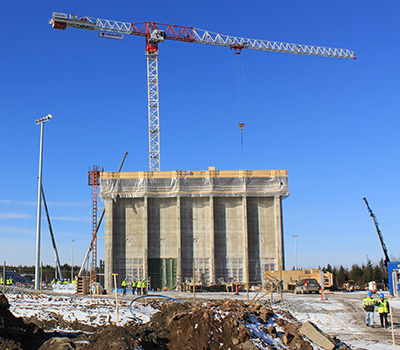 The heating plant will be controlled with Metso's automation via a remote connection from the district heat control room at the Lielahti power plant. Metso will supply a Metso DNA automation system to the heating plant as a turnkey delivery, including everything from engineering to commissioning. The delivery also includes an information management system with reporting tools as well as connections to Tampereen Energiantuotanto's other systems. Tampereen Sähkölaitos Oy, in turn, has placed an order with Metso for a production optimization system that will be integrated with the company's existing Metso DNA automation and information system. The new system will optimize the utilization of the plant by taking into account the district heat need, electricity purchases and sales, fuel prices and availability of the plants. With the data collection, analyses, consumption forecasts and reports provided by the system, the company will be able to improve the efficiency of production planning and make operations more economical overall at its power plants. "Based on reliable and quickly available production plans, it is possible to run the power plants in the most energy-efficient way, resulting in lower fuel consumption and less emissions into the atmosphere. The system is also utilized in electricity and emissions trading, fuel procurement and annual planning," states Jukka Joronen, Energy Management Manager, Tampereen Sähkölaitos. Metso's automation solutions are designed to maximize the profitability of our customers' businesses by improving their production performance and their cost, material and energy efficiency. Our extensive range of flow control and process automation solutions and services is supported by a worldwide network of automation experts. The Automation business's biggest customer industries are oil & gas, and pulp and paper. We also have a strong growth focus in mining and construction, and power generation. Photo caption: The processes of Tammervoima's waste-to-energy plant currently under construction in Tampere, Finland, will be controlled with Metso's automation.